Today you will discover 13 Awesome Healthy Reasons to drink Acai Berry Tea! Taking the same tea brand for a long time makes it boring. If you would want to try out something exciting. Then you should consider taking the Acai berry tea. Besides trying out a new thing. 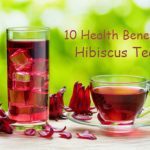 This tea will also offer you with many health benefits that you cannot get from regular tea. 1 What is Acai Berry Tea? Acai berry is brewed from the fruits that come from Acai Palm. Acai palm is from the Genus Euterpe which is now cultivated for its fruits and palm. Acai is Brazilian Portuguese word, which means cries or expels water. The Acai palm was native to Brazil, South America, and Trinidad. They usually grow naturally in the swamps and floodplains. The palms are slim than the coconut trees and grow up to reach 25 meters or more. Because of the increased demand of the Acai berries, these palm trees are now cultivated on a large scale. 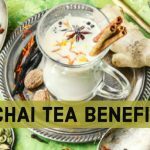 While we are going to discuss the primary benefits that come with the Acai berry tea, you can also find some of the benefits listed below from drinking the Acai Juices and smoothies. 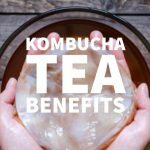 The tea has been used for many years because of the numerous health benefits. Today, the Acai berry is considered as a superfood, which offers your body major minerals and vitamins. Below are some of the health benefits that come with consuming the Acai berry tea regularly. Boasting of numerous vitamins and minerals, the Acai berry will provide you with the energy you need to tackle your daily activities. 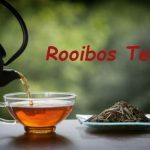 The tea comes with multiple vitamins that will not only boost your energy level but also improve your overall health state. You will also get the stimulating effects that you get from regular tea, helping you focus on the task. The Acai berry herbal tea will also support the nervous system functioning by injecting a high amount of nutrients. Besides, the berries also contain pterostilbene(1) a compound that is known to have the effects of reversing the aging of brain functioning. This compound will also allow your mind to stay sharp and alert. In addition, the tea also comes with stimulating effect is that reduce both mental and physical fatigue. Acai berry tea also helps our bodies to absorb more nutrients. It does so by helping in toxins removal from the blood flow and tissues. The tea is also loaded with minerals and vitamins including vitamin A, C, E, and B complex. This will help in revitalizing your overall health. 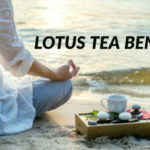 The tea is also full of fatty acids that play a major role in allowing the hormones, neurotransmitters, and insulin receptors in the body, enhancing the way our body works. 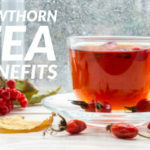 By so doing, the tea also plays a primary role in reducing the risk of inflammation. In addition, because of the antioxidant ingredients in the Acai berry, it will fight the destructive free radicals. This will reduce the damage that these radical causes as well as the inflammatory processes that they trigger. Cancer is probably the most deadly disease right now. With scientist spending unlimited time in the labs trying to look for a cure, we are lucky to have natural remedies that may prevent and help in curing this disease. The Acai berry tea contains high antioxidant levels that have shown positive results when it comes to fighting various forms of cancer. We have various studies that have shown positive results when it comes to using of Acai berries to promote weight loss. These studies claim that the tea will help in the diminishing of the negative fats in the body. While we have various supplements that promise to offer effective results when it comes to fighting excess weight, people who have used supplements with Acai berry have reported positive results than those using other supplements. Basing our argument with one of the latest studies performed to show the effectiveness of Acai berries showed that the glucose levels and insulin levels dropped significantly after use of Acai berries for thirty days(4). The study also showed a significant drop in the cholesterol. Also have various studies conducted with the preliminarily showing promising results when it comes to using of Acai berry tea in fighting excess weight. Another researcher also claims that the high fiber content in the Acai berry will help reducing hunger pangs, preventing you from overeating. Bottom Line, Acai berry may help with weight loss but it’s not a miracle cure. However just having acai berry in your diet will have positive health effects. As mentioned earlier, the Acai berries have potent antioxidant properties. As you probably know, there is a direct relationship to our skin and antioxidants. Today, the Acai berry is used in most modern cosmetic products. These antioxidants will help in relieving the redness and itchiness of the skin. When taken in tea, the Acai berries will also promote a healthy and glowing skin. What’s more, the pulp of the Acai berries has long been used in Brazil in treating various skin conditions. The word Aphrodisiac simply means foods that are helpful in boosting a person ’s sexual stamina. While there is no direct, relationship that shows that drinking the Acai berry tea will help in boosting your sexual stamina, research shows that the berries help in blood circulation. This means the sexual organs will get enough blood, increasing your sexual desire. This makes it a perfect choice for individuals suffering from Sexual Dysfunction as well as those who would want to spice up their relationship. Research also shows that the berries will also help in resolving other conditions such as immature ejaculations. Another incredible benefit that comes with the drinking Acai berry tea is the fact that it will slow down the aging process. This is also facilitated by the high levels of antioxidants. As previously mentioned the antioxidants will help in the removal of the free radicals from the body. The free radicals are responsible for various health issues including the teeth, skin, as well as hair. By taking the Acai berry tea on a regular base, you can eradicate these signs of aging. Besides, topical application of the Acai berry creams can also reduce the signs of aging. The Acai berry tea is also a great choice for individuals who suffer from intestinal and overall digestion problems. Since the Acai berry comes with good detoxifying effects in the body, which plays a major role in cleaning the digestive system as well as removing the toxins, build up in the body. In addition, the Acai berries contain high levels of fibers, which will also play a crucial role in helping in avoiding various digestive problems such as constipation. The fiber also increases the absorption of food preventing diarrhea. Proper cellular functioning is also crucial for general health. The availability of the potent antioxidants also plays a crucial role in ensuring proper functioning as well as metabolism. Removal of free radicals will decrease cell death boosting our immune system. The Acai berries are also loaded with omega six and omega 9 fatty acids. It also boasts of high levels of fibers, protein, and other nutrients. This allows it to reduce the bad cholesterol levels as well as regulating blood sugar levels. Reducing of the bad cholesterol ensures that your blood vessels are not clogged, eliminating the chances of high blood pressure. In addition, reduced blood sugar levels ensure that you are hypertension free. The Acai berry fruits have a lot of fiber, which plays a crucial role in flushing out byproducts, food waste, and toxins and well as excess hormones. This will detoxify your body effectively for a better overall functionality. Besides the Acai berries also contains the antioxidants that are potent immunity enhancers. This means taking a cup of Acai tea berries will play a crucial role in strengthening your immunity. This helps your body more efficient when it comes to fighting the bacteria, viruses as well as other harmful pathogens. Consuming the Acai berries and tea prepared from these berries offers your body with important anthocyanins. These anthocyanins are active compounds that not only support a healthy cardiovascular functioning but also boost the health of your heart. The Acai berries are 20-30 richer than the red wine. This makes them a great addition to your diet. Taking too much of the Acai berry tea may lead to the production of different toxins. 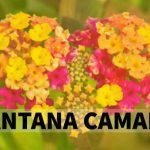 This can result in various side effects ranging from fatigue to more serious effects such as Candida. Too much of Acai berry can lead to blood thinning in some individuals. Blood-thinning may lead to severe bleeding. Underweight individuals should avoid taking too much of the Acai berry tea. As mentioned, this tea leads to reduced weight loss. You should avoid combining the Acai berry tea with other antioxidants without seeking your doctor’s advice first. Additionally, you should avoid taking the tea together with cancer treatment medications as it reduces their effectiveness. In addition, the MRI scan effects are also ended with the excess consumption of the Acai berry tea. Sometimes the Acai berries may also lead to Chagas disease transmission. Remains of a blood-sucking insect that is common in South America in the Acai berry can cause the transmission of this disease. People have also reported swelling in mouth, lips, and tongue after eating too much of the Acai berries. This may lead to some respiratory complications. Lactating women should avoid taking this tea as it may harm the toddler. As you can see, many health benefits come with the Acai berry tea. It is even referred as a superfood because of its effectiveness in treating some of the serious conditions as well as promoting cardiovascular health. However, similar to other herbal teas, you should take the tea in moderation. Consuming too much of it may lead to a combination or one of the side effects listed above. In addition, it is always a good idea to seek for doctor’s consent before you can start using the tea. This is crucial especially if you are taking other medications or drugs to treat cancer. Overall, it is a great addition to your diet. Using it correctly will help you reap the above benefits, boosting your health significantly. All the best!